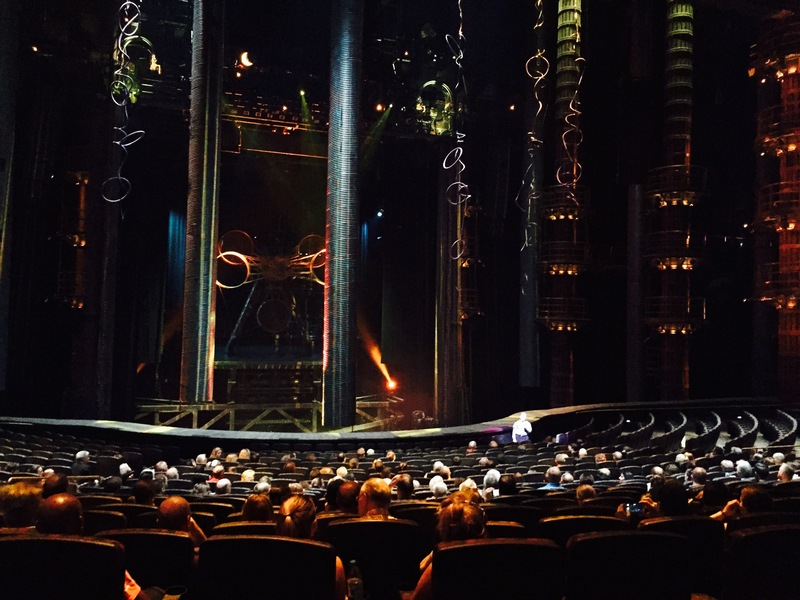 Cirque du Soleil’s “KÀ” is not only the production company’s most technologically advanced show, but now it’s the only Cirque show in Vegas that has a free open house tour of its incredible theater. Open to the public twice every Tuesday at 11 a.m. and 11:30 a.m., tour guides take groups of curious visitors into the million-dollar theater for an up-close and informative look at some of the various elements that go in to making “KÀ” so spectacular. Spectators will learn the mechanics behind the 50-ton Sand Cliff Deck where a majority of the coming-of-age story takes place, as well as musical demonstrations to give the visitors a sample of the state-of-the-art sound system utilized throughout the immersive production. “We wanted to make sure that people were understanding what they were buying tickets for and that when people came to see a show that they were specifically coming to see “KÀ” and not, in quotes, Cirque du Soleil, because Cirque du Soleil has so many offerings here in Las Vegas,” explained “KÀ” Company Manager, Anthony Ricotta. The entire production budget for “KÀ” was $165 million and approximately $1 million of that went into designing the theater. The world’s largest airbag is used in the pit below the stages at “KÀ”. Various stages/ platforms are used in the production. The Sand Cliff Deck is a revolving stage platform that is controlled by a vertical gantry crane capable of lifting the platform up and down 72 feet. The highest choreographed fall during the performance is 70 feet. The Sand Cliff Deck was named due to the fact that it acts as a cliff is a portion of the performance and a beach in another portion of the performance. The “sand” in the show is made out of granulated cork. In addition to learning about the show and the technology that makes it possible, guests are invited to take photos inside of the theater, which is especially unique considering that photos are prohibited during performances. 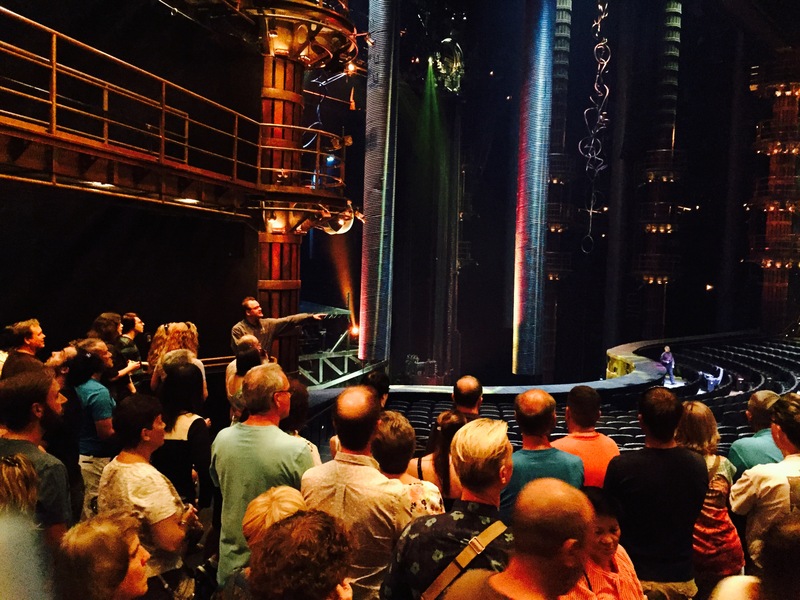 With opportunities to ask questions at the end of the tour and experience the magic of the “KÀ” theater firsthand, we suggest you check out this free tour and nerd out Cirque-style before you see the show. Read more about this fascinating show and buy your “KÀ” show tickets.